Barossa Old Garage Bed and Breakfast is INCREDIBLE. It's a step back in time to a retro diner bursting with 50s and 60s memorabilia. It's an ode to classic cars, Elvis and Marilyn, chrome, coca cola, LPs and more. The kitchen set up gave us everything we needed for cooked breakfasts and dinners, as well as a milkshake maker - and the food supplied (eggs, bacon, milk, OJ, muffins, jams etc) was plentiful and delicious. We went on a wine tour with one of the owners (Jannine) and had a blast, taken to some of the smaller, family owned wineries that were just delightful. Mark and Jannine are wonderful people who take huge pride in their holiday space which really shows. It was spotless, had everything we needed (heating, cooling, great blinds in the bedroom to keep mornings dark, fluffy and BIG towels, a huge spa bath, handy little alcohol-breath tester on the wall! and more). I cannot recommend this place enough for a super unique experience - and doing the wine tour with Barossa Cruisin' (Mark & Jannine) is a must. This place is just really quirky and fun and we had a ball. Thanks so much! Great location and nice roomy apartment with parking at the rear. Excellent communication from owners with regards arrival, keys etc. 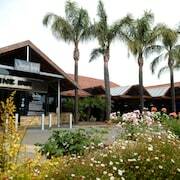 Where to find Cockatoo Valley hotels near an airport? 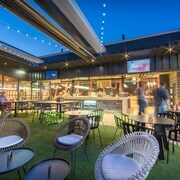 Where can I find hotels in Cockatoo Valley that are near tourist attractions? 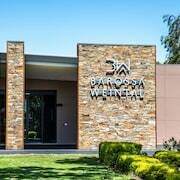 Taking a trip to Barossa Valley? Would you like to reserve a room within an easy drive from the main part of Cockatoo Valley? 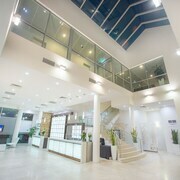 Cockatoo Valley has 9 quality hotels and apartments, all within a 0.1-kilometre (0.06-mile) distance of the center of town. There are a number accommodation options that are within a short stroll from Cockatoo Valley's heart, including the Barossa Country Cottages and Belle Escapes Barossa. The Kingsford Homestead is 12 kilometres (8 miles) from the middle of Cockatoo Valley. Alternatively, the Abbotsford Country House is 7 kilometres (4 miles) away. 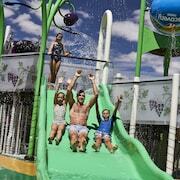 Two more options are the Jacobs Creek Retreat at Moorooroo Park and the Barossa Shiraz Estate. Seppeltsfield is 16 kilometres (10 miles) to the north of Cockatoo Valley and is where you'll find Hentley Farm and Seiber Road Wines. Should you wish to spend a few nights in Seppeltsfield, check out the room rates at the Greenock's Old Telegraph Station and Seppelts View Cabins. 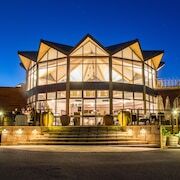 Or, you could stay in Tanunda, 15 kilometres (9 miles) to the northeast of Cockatoo Valley, where you'll find the Novotel Barossa Valley Resort and Barossa Weintal Hotel Complex. If you're staying in Tanunda, set aside some time to check out the Peter Lehmann and Charles Melton. Get your fix of local sport with a journey to Adelaide Oval, which is 40 kilometres (25 miles) to the southwest of Cockatoo Valley. For those who are keen on sleeping nearby, make a reservation in the Adelaide Heritage Cottages & Apartments or Buxton Manor. If you are planning on arriving or departing through Adelaide International Airport, you may like to book accommodation at Seawall Apartments, or Stamford Grand Adelaide, which are both a short drive away. 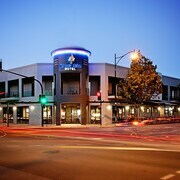 What are the most popular Cockatoo Valley hotels? Are there hotels in other cities near Cockatoo Valley? What other types of accommodations are available in Cockatoo Valley? Explore Cockatoo Valley with Expedia.ca’s Travel Guides to find the best flights, cars, holiday packages and more!